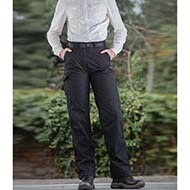 We are pleased to be able to provide you with a variety of different ladies trousers, all of which can be branded with your logo to communicate your brand - perfect for corporate clothing! Ranging from shorts, to casual jogging bottoms, to smart and durable trousers, we are sure to have a product which meets your needs. If you can't find what you are looking for on this page, our dedicated customer service team will be pleased to source a bespoke product for you from our suppliers. We can also provide you with samples and visual mock ups, so you can see what products will look like with your logo. Contact our team today with your requirements by emailing sales@allwag.co.uk or calling 01245 382600.